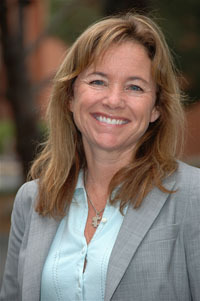 Dr. Lynn Kern Koegel, the Clinical Director of Autism Services in the UCSB Autism Research Center and the Director of the Eli and Edythe L. Broad Center for Asperger’s Research, has been active in the development of programs to improve communication in children with autism, including the development of first words, grammatical structures, pragmatics, and social conversation. In addition to her published books and articles in the area of communication and language development, she has developed and published procedures and field manuals in the area of self-management and functional analysis that are used in school districts and by parents throughout the United States, as well as translated in other major languages. Dr. Lynn Koegel is the author of Overcoming Autism and, most recently, Growing Up on the Spectrum with parent Claire LaZebnik, published by Viking/Penguin and available in most bookstores.. The Koegels, are the developers of Pivotal Response Treatment® which focuses on motivation. They were the recipients of the first annual Children’s Television Workshop Sesame Street Award for “Brightening the Lives of Children” and the first annual Autism Speaks award for “Science and Research.” In addition, Dr. Lynn Koegel appeared on ABC’s hit show “Supernanny” working with a child with autism. The University of California, Santa Barbara received a $2.35 million gift to expand the physical space of the Center, which was renamed the Koegel Autism Center in recognition of the Koegel’s work on behalf of children with autism and a large gift from the Eli and Edythe Broad foundation to start a Center for Asperger’s Research, which is now part of the Koegel Autism Center. Brittany Koegel received her Ph.D. in special education and developmental disabilities risk studies. Her interests are socialization skills for young adults with Aspergers’ syndrome, academic motivation for children with autism, and communication for individuals with autism spectrum disorders. She specializes in training teachers, parents, and professionals in Pivotal Response Treatment. Kristin Wheatley has been working under Drs. Robert and Lynn Koegel since January of 2005. She began her experience as an undergraduate research assistant and clinician at the UCSB Koegel Autism Center while completing her B.A. in Psychology and Political Science at the University of California, Santa Barbara. Upon graduation, Kristin worked as a clinician and program supervisor/parent educator with Koegel Autism Consultants for a year before pursuing a graduate decree at the University of California, Santa Barbara. After receiving her Masters degree in Special Education, Kristin returned to Northern California to open a branch of Koegel Autism Consultants in the Bay Area, and to launch the PRT Training and Certification Programs. Kristin is currently the Clinical Supervisor of the Bay Area Branch of Koegel Autism Consultants, and provides training and supervision to the staff and the families served at this location. 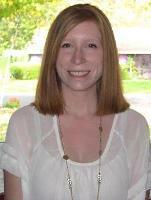 Kristin is also currently the Coordinator of the PRT Training and Certification Programs. Kristin is passionate about the dissemination of PRT to parents and professionals across the US and internationally, and focuses much of her work on training individuals in PRT through both on-site and distance (remote) training models. Lizzie Ponder has been working with Drs. Robert and Lynn Koegel since 2008. 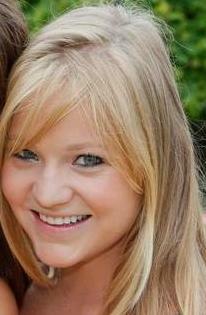 She began her training in PRT as a research assistant while completing her B.A. in Psychology at the University of California, Santa Barbara. After graduating, Lizzie further expanded her knowledge and skills pertaining to ASD and PRT by working as a clinician for KAC. In 2009, Lizzie entered the Special Education, Disabilities and Developmental Risk Studies (SPEDDR) graduate program at the University of California, Santa Barbara and studied under Dr. Robert Koegel. During this time, Lizzie developed her skills related to training others in the implementation of PRT as a Program Supervisor/Parent Educator. After receiving her M.A. in 2011, Lizzie took the position of KAC’s Ventura County Branch Clinical Supervisor/Manager and is now in charge of training and supervision for that office. Through her work at KAC, Lizzie has gained experience working with individuals on the spectrum between the ages of 3-18 years old with a wide variety of symptoms and behaviors. She has trained and supervised parents and clinicians on their implementation of PRT and coordinated with school staff and Regional Centers on behalf of KAC. Katerina Ford has been working under Drs. Robert and Lynn Koegel since 2009. She began her experience as an undergraduate research assistant and clinician at the UCSB Koegel Autism Center while completing her B.A. in Psychology and minor in Applied Psychology at the University of California, Santa Barbara. Upon graduation, Katerina worked as a clinician, program supervisor, and parent educator with Koegel Autism Consultants for three years before commencing her graduate work at UCSB. She is now a fifth-year student in the Education department, with an emphasis in Special Education, Disability, and Developmental Risk Studies (SPEDDR). 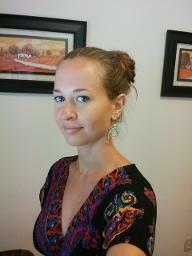 Katerina has served as Office Manager for Koegel Autism Consultants since 2012. 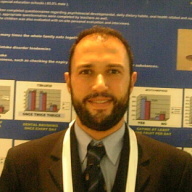 Dr. D.Dimitriou is a Neurodevelopmental Pediatrician with a Ph.D. in Developmental Pediatrics from the University of Athens. For the past ten years, Dr. Dimitriou has focused in Autism and PDDs and translated in Greek many relevant tests. Moreover he attended Post Doc studies and observed at Yale University, CT. He also attended and post doc courses on Neurometabolic diseases at Robert Debre Hospital-Paris, France. He holds a second degree in Political Sciences and is an Oriental Studies Specialist with specialization in Migration. He is President of the Greek Developmental and Behavioral Pediatrics Society and has a private clinic in Athens Greece, where he works and evaluates children for about two weeks every month. He speaks 14 languages and was distinguished in the European Language Contest in 2000. For the past 3 years, he has been training with Drs. 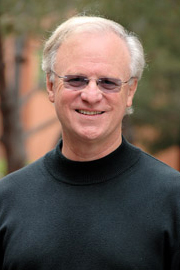 Koegel for PRT Certification, and currently serves as International Program Coordinator and Marketing Director for KAC. Please contact him for online services in Spanish, German and French. Sunny Kim has been working under Drs. Robert and Lynn Koegel since 2007. 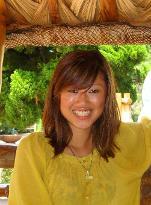 She began her training in PRT when she was an undergraduate at UCSB while pursing her B.A. in psychology and a minor in applied psychology. Upon graduation, Sunny continued to work as a clinician and a program supervisor at Koegel Autism Consultants. In 2010 she was admitted to the Gevirtz Graduate School of Education to pursue her Ph.D. in Special Education, and in 2012 Sunny received her Masters. Currently, Sunny is focused on completing her Ph.D. and her research interests include: social skills training for students with ASD, paraprofessional training in PRT, social pragmatic skills, and parent training via online. Sunny is the head of the School Professional Socialization Training Project and the remote program.